Loans come in a variety of forms, so it’s not surprising that when the conditions for securing a traditional loan are not ideal, borrowers seek out alternative ways to secure funding. One popular method of securing funds for a real estate transaction in Arizona that doesn’t fall under your standard criteria is through a process called a hard money loan. But what is a hard money loan, and how does a hard money loan work? By gaining some background knowledge about this type of loan, you should be able to determine if it’s the right loan for your particular situation. The simplest way to describe the difference between a hard money loan and a traditional loan is by comparing the sources of the funds. In a traditional mortgage loan, financing is secured through a bank, whereas a hard money loan secures funds from a private lender. Bank approval often involves experiencing a lengthy approval process while the hard money loan borrower experiences a much shorter approval process, sometimes in as little as 24 hours with an experienced private-money lender. Additionally, a traditional mortgage loan is typically a long-term loan, whereas a hard money loan is approved for short-term purposes. In order to obtain a hard money loan, collateral in the form of real estate is needed. The total amount of funds approved will depend largely on the value of the collateral property or properties. In cases when larger sums of funds are needed, multiple properties can be used as collateral. In cases of purchasing a piece of property, the new property itself can often be used as collateral. It’s important to clarify that short-term hard money loans are not ideal for every real estate transaction. Even though a fast approval process that eliminates the excessive paperwork of a traditional loan process might seem like the best path, borrowers who fall under the typical mortgage loan criteria are not the ideal candidates for a hard money loan. If you are purchasing a home that will be your primary residence, don’t have a bankruptcy or extreme credit problems, and have a steady source of income, then pursuing a traditional mortgage loan makes more sense. The interest rate will generally be lower, and the loan terms allow a gradual repayment over an extended period of time. However, if you are embarking on a real estate venture in Arizona such as house flipping, construction, renovations, or purchasing a foreclosure or auction home and need funds quickly, a hard money loan can be advantageous to your process. Also, if you have attempted to secure project funds through a bank and have been turned down, a hard money loan can be a viable and secure back-up plan. This is especially helpful for those who have less-than-ideal credit scores but have real estate collateral to use to secure a loan. In these cases, a hard money loan can be the easiest and most logical option to pursue. If you are considering a hard money loan for your real estate transaction and don’t fall under the criteria used for a traditional mortgage loan, it’s important to note that these types of loans have serious advantages. The simplicity of processing. Hard money loans do not require the underwriting paperwork necessary to complete a traditional mortgage loan. This means you aren’t spending time gathering and regathering documentation for underwriters. The speed of approval. Private lenders are more concerned with your ability to put up collateral than with confirming you have the ability to pay back your loan. This means you will not need to wait the typical minimum of 30 to 45 days to gain loan approval. Some private lenders are able to grant your approval within a day or two, while others take up to a week. An option for high-risk borrowers. A major advantage of a hard money loan is the availability to atypical borrowers. If your credit is less than ideal, you do not have a steady work history, you have started a new job and have not built salary history, or you have been turned down by banks through the traditional loan process, hard money loans are still available as a viable option to you. The type of real estate project you are pursuing will determine the type of hard money loan you need. 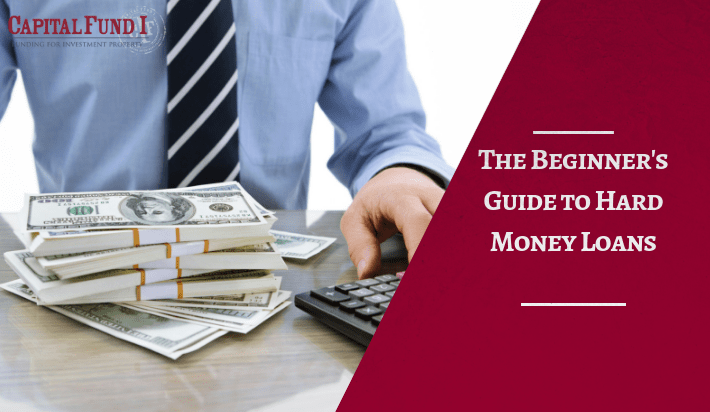 There are a variety of types of private money loans that fall under several broad categories. For borrowers who plan to acquire a property that needs major renovations and then resell for a profit after a short amount of time, a loan referred to as a “fix-and-flip” is available. During the renovation or construction process, a construction private money loan can be used. Income properties, whether newly purchased or being updated, can fall under a scenario called “buy-and-hold.” Commercial loans and loans for land or lots are also available private money loan options. Private lending companies can walk you through the process and help you decide which type of loan is best for your particular situation. Since private lenders do not follow traditional mortgage loan rules, the loan terms also differ in several significant ways. It’s important to review these differences when you are making your decision about funding sources for your project or purchase. These terms might vary according to state and type of private lender, but if you are looking for a hard money loan in Arizona, you can use these terms as a general guideline. Term length for payback. Typically, hard money loans have a term of six to 24 months, but this varies depending on the type of loan. Interest rate. Interest rates for hard money loans are typically higher than traditional loans and usually require a balloon payment at the end. In renovation or flipping circumstances, the profit is often made before the balloon payment becomes due. Rates vary according to lender and loan type. Loan-to-cost (LTC) and loan-to-value (LTV) ratios. LTC ratios vary from about 70% up to 90%, with fix-and-flip loans allowing the highest LTC and commercial or construction loans allowing a bit lower. Similarly, the LTV ratios for fix-and-flips and buy-and-hold loans allow up into the 75% LTV range while commercial and construction are typically closer to 65-70%. Penalties. Depending on the type of hard money loan, you might have a penalty for an early payoff or might not have any prepayment penalty associated with the loan. Now that you have learned more about the situations that necessitate or would benefit from a hard money loan, you can take the first step toward securing your real estate transaction in Arizona. Contact Capital Fund 1 for help financing your project or to ask any questions you still have about the process. Capital Fund 1 serves Arizona as a reliable private money lender, so you know you will have funds available for y0our real estate venture.